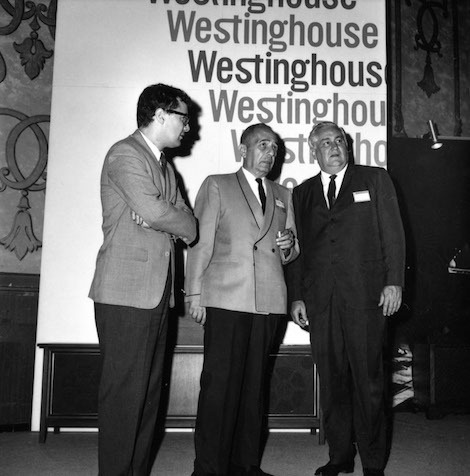 Did you know that the very first CES was held in New York City 50 years ago this week, June 25-28, 1967? That inaugural show attracted 117 exhibitors and 17,500 attendees with main exhibits at the New York Hilton Midtown on 6th Avenue and Americana of New York Hotel – now the Sheraton New York Times Square Hotel on 7th Avenue, Ed. CES of course has grown immensely since then, with more than 4,000 exhibitors and more than 180,000 attendees at CES 2017 this past January in Las Vegas. Since its start in 1967, CES has showcased an estimated 700,000 products. These include world-changing innovations such as the VCR (1970), the DVD (1996), digital radio (2000) and Blu-ray recording standards (released in 2002), as well as more recent technologies – such as consumer 3D printers, AR/VR, smartphones, tablets, self-driving vehicles, 5G wireless, the Internet of Things, drones and 4K Ultra HD Television. CES 2018 will take place January 9-12, Las Vegas, NV. This entry was posted on Tuesday, June 27th, 2017 at 00:18 @054 and is filed under Scuttlebut. You can follow any responses to this entry through the RSS 2.0 feed. You can leave a response, or trackback from your own site. Broadsign Win Westfield’s US Flagship Shopping Center Biz.